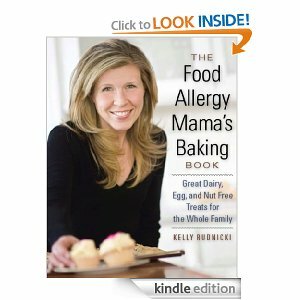 Free Food Allergy Mama's Baking Book! Free Food Allergy Mama’s Baking Book! The Food Allergy Mama’s Baking Book: Great Dairy-, Egg-, and Nut-Free Treats for the Whole Family Kindle book is currently available to download for FREE at Amazon! I am excited to try this one at as it has wonderful ratings. Prices tend to change quickly on Amazon, so please double-check your shopping cart before you check out. Don’t have a Kindle? You can also dowload Kindle books to your Iphone , PC, Mac, or Blackberry.